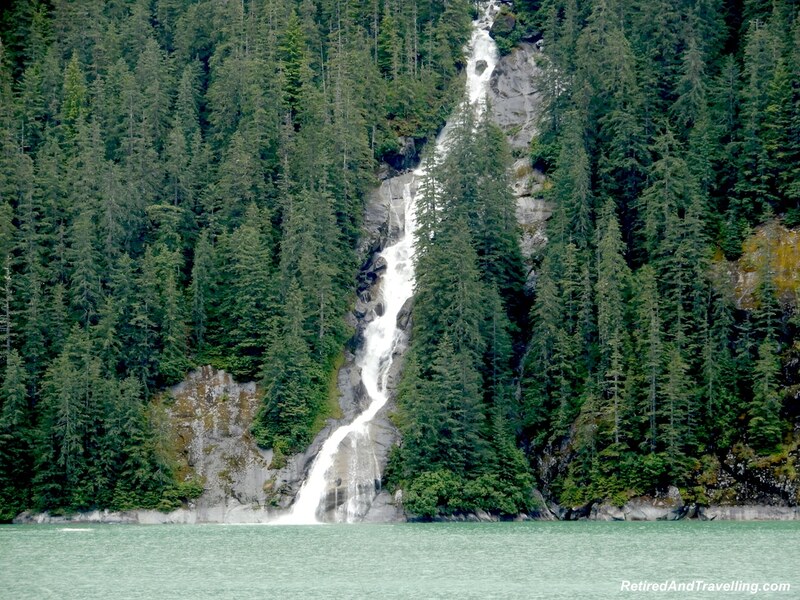 The first shore day on our Alaska cruise was in Ketchikan. The next day was a sea day but oh what a sea day it was. 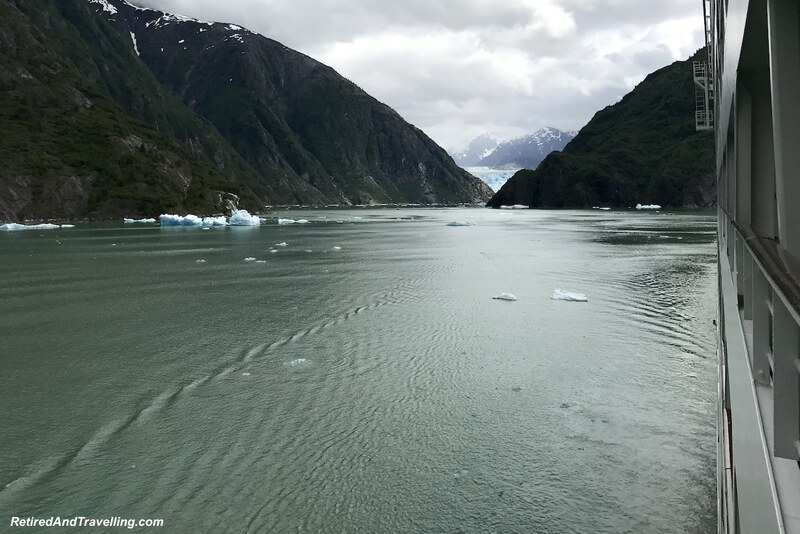 We spent most of the day with our eyes glued out the window cruising the Tracy Arm Fjord to the Sawyer Glacier in Alaska. People were up early that morning. 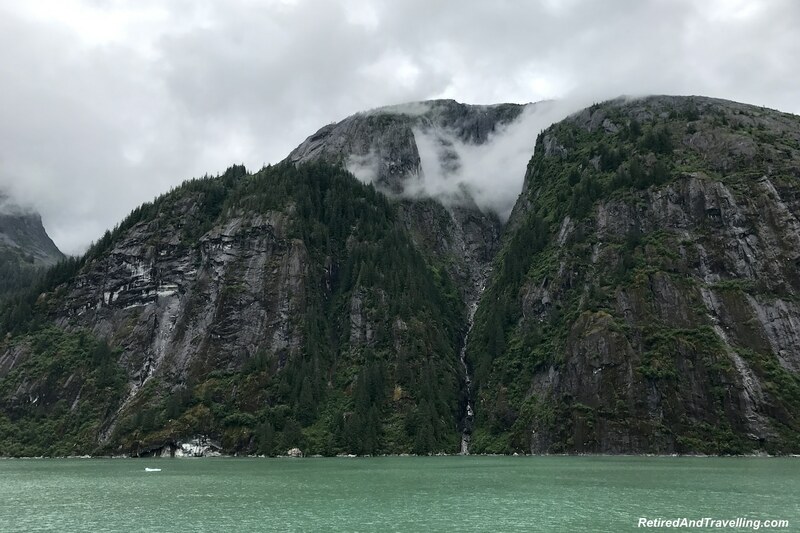 The clouds still clung to the mountains as we got close to the mouth of the Tracy Arm Fjord. 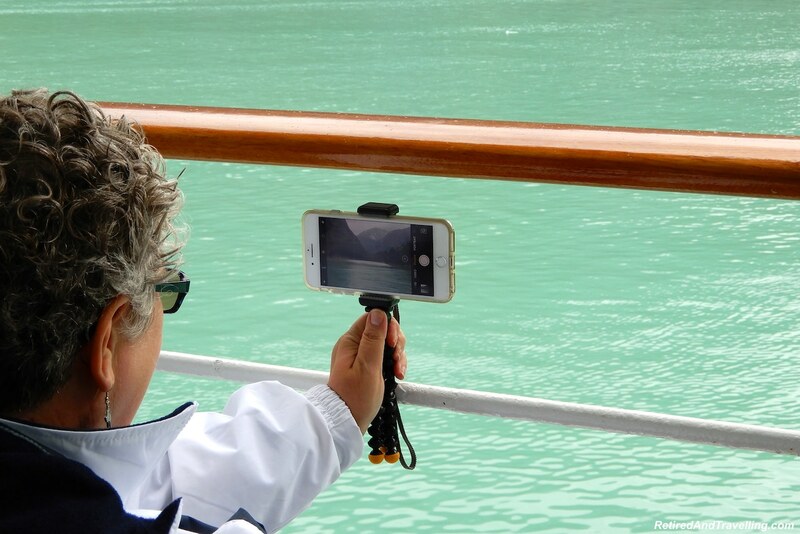 As our cruise ship headed north, we continued to keep our eyes peeled for whales. It seemed that by the time someone spotted a whale, it dove back down. We kept running from one side of the ship to the other. 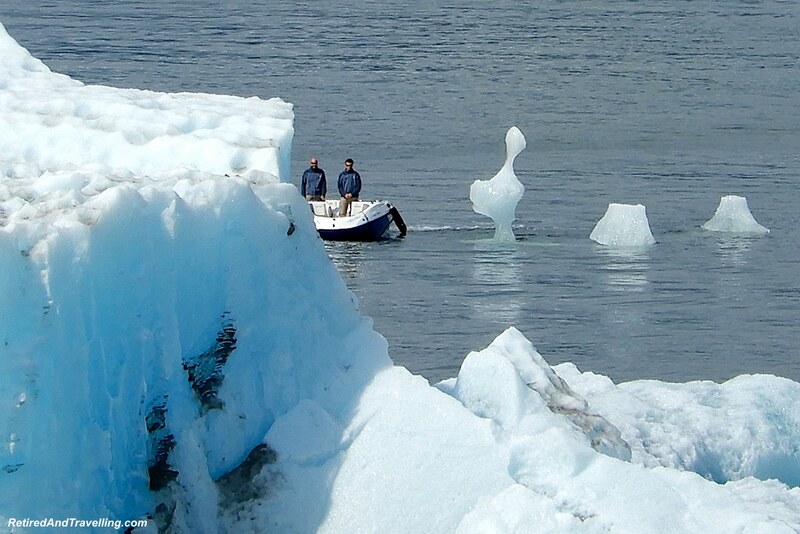 Our first sight of icebergs was exciting. Everyone was looking for seals lounging on the ice. 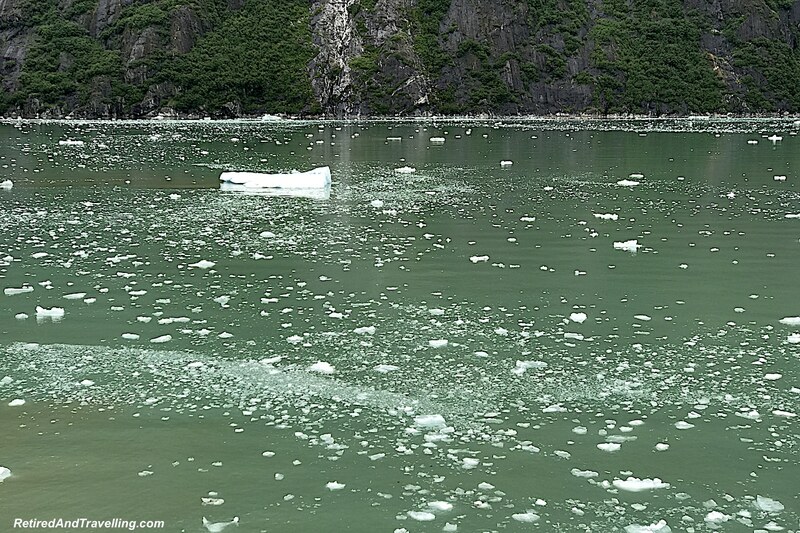 A couple of times we got fooled by dirty ice. 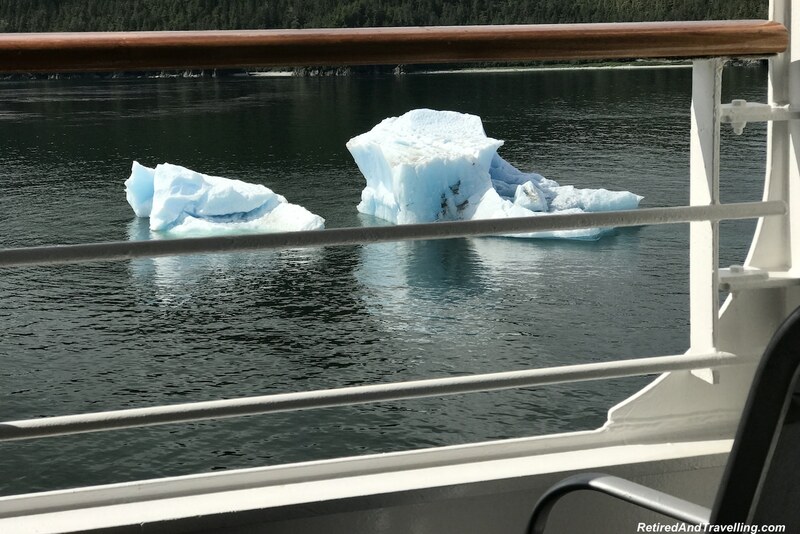 We hoped that the ice flows would not be so great as to cause us to miss cruising the Tracy Arm Fjord to the Sawyer Glacier. The captain would take us a far as safety allowed. 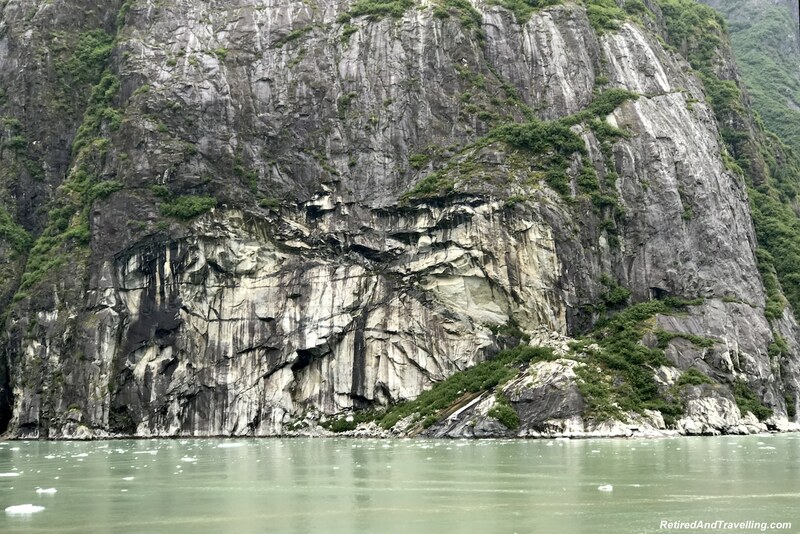 As we turned into the Tracy Arm Fjord, the large observation windows became crowded as people staked out their spots. The guest lecturer wandered about the floor and talked about the things we passed. 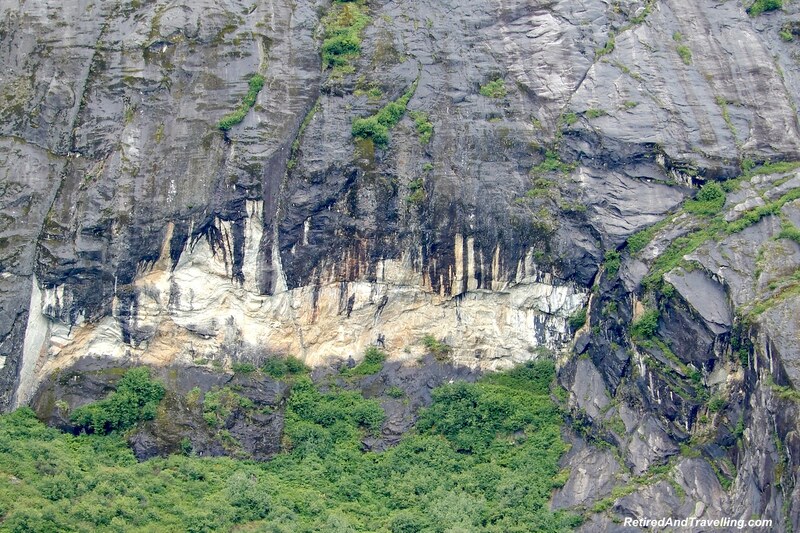 At the early part of the fjord, the hills were still quite well treed. We often saw waterfalls streaming down the sides of the hills. 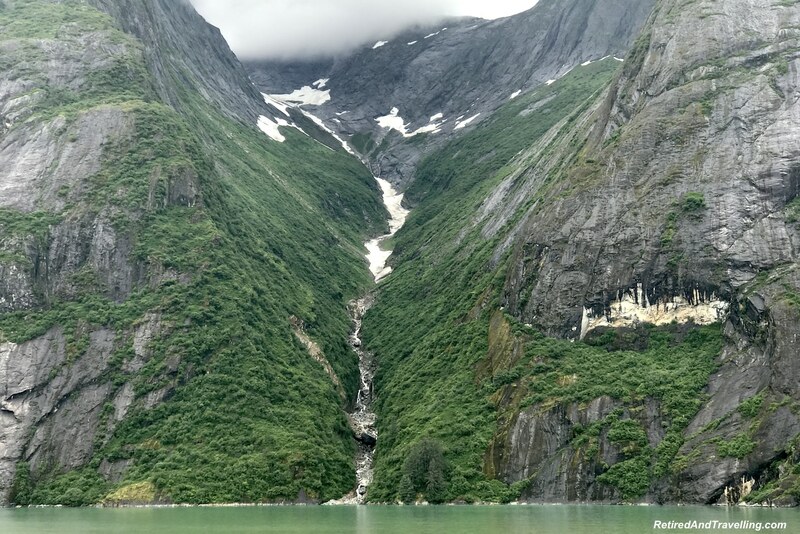 As we moved into the fjord, the mountains and waterfalls were steeper. People were on the outer decks catching great views as we travelled up the fjord. 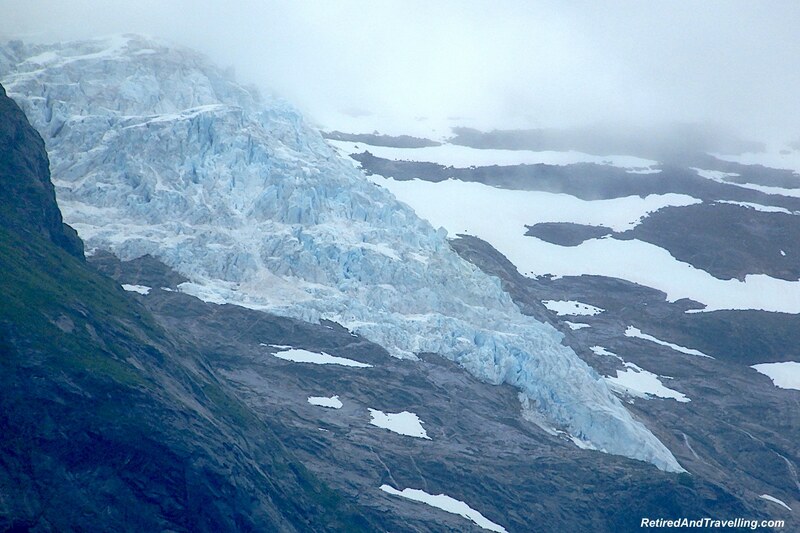 In places we could see evidence of a retreated glacier. Large valleys had been left as the glaciers retreated. 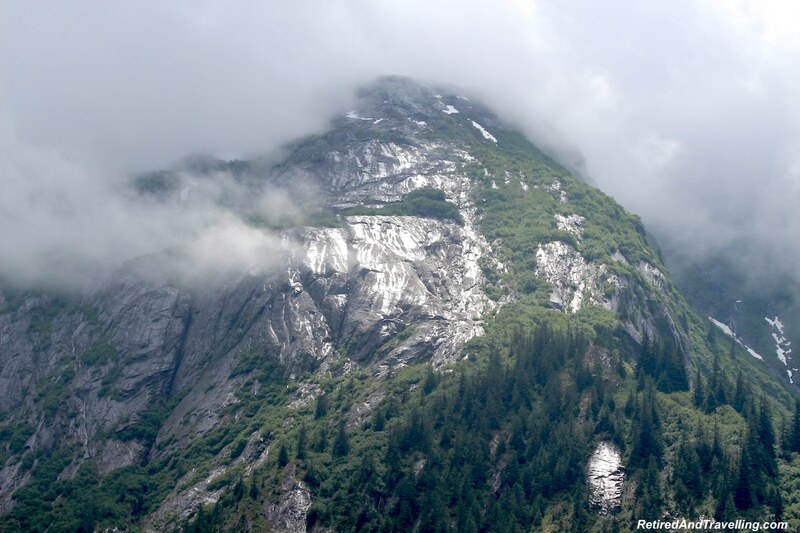 In some areas, the rock was polished smooth from the abrasion as the glacier moved. In other places the rocks were sharp and jagged. Layers in the rock could clearly be seen. 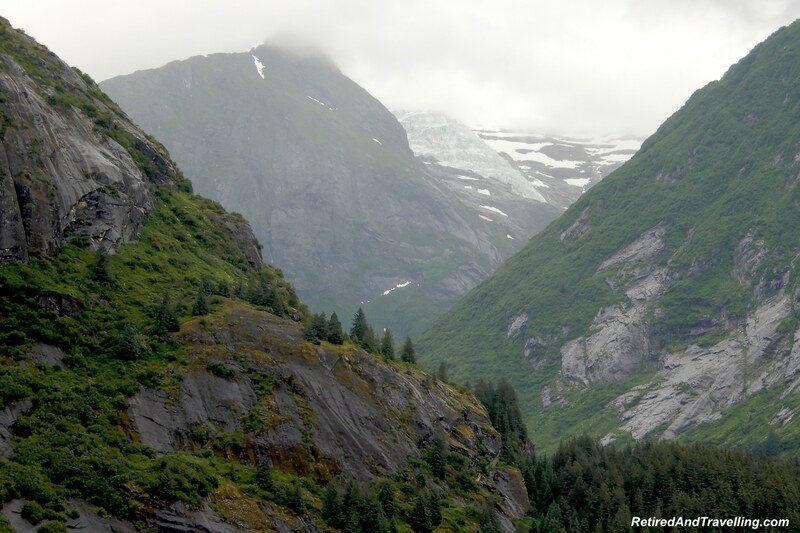 At one point, we saw a glacier hanging high in the tops of the mountains. Every where we looked the scenery was quite stunning. 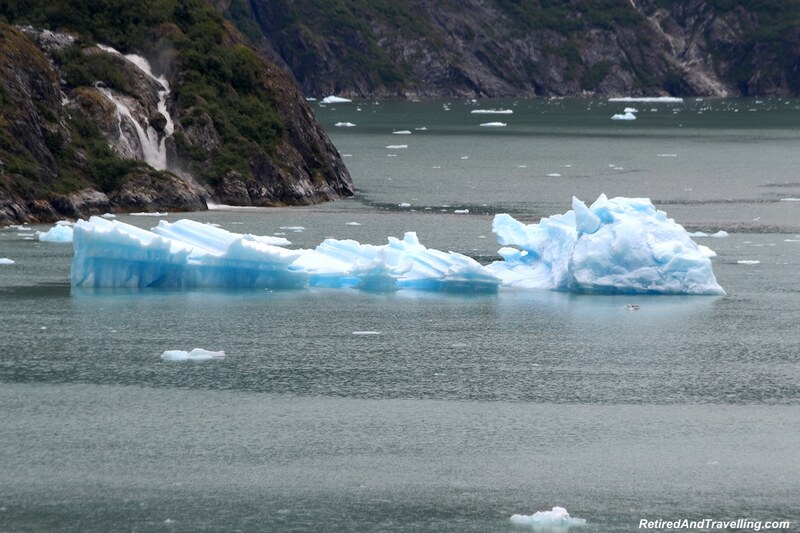 Icebergs floated in the water. It was amazing to see how blue they were. 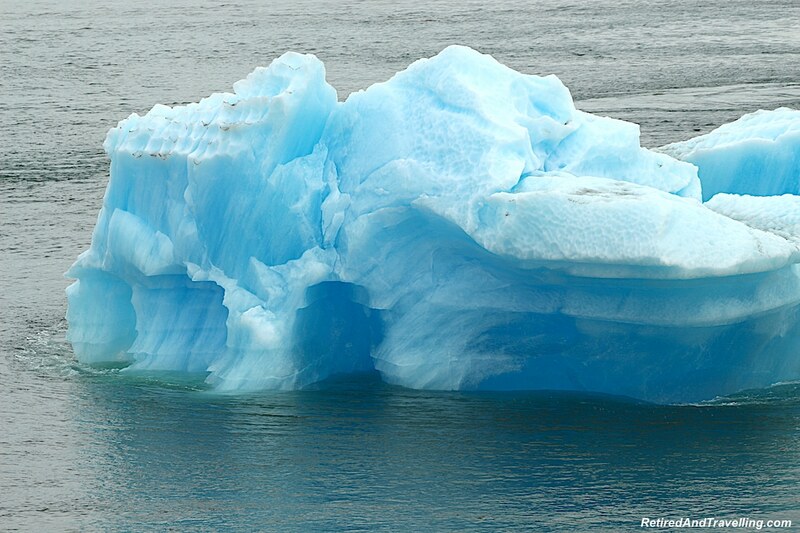 In places we could see icebergs clear and almost melted away. 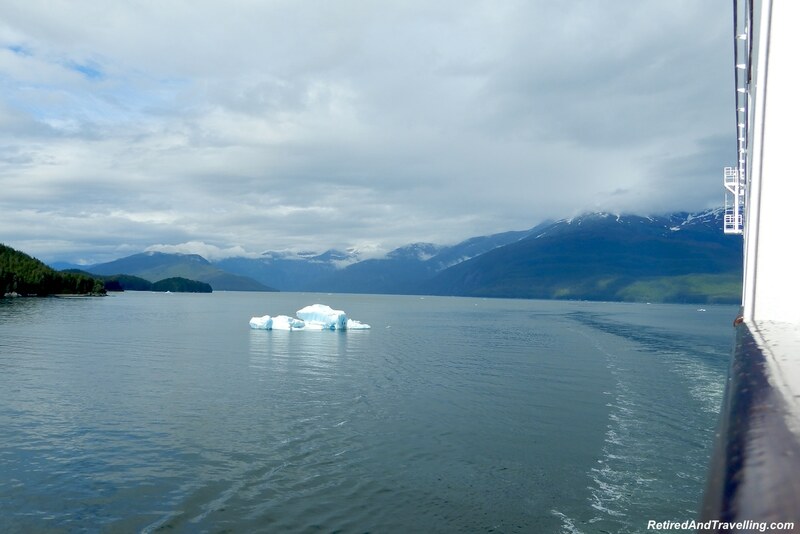 As we got deeper and deeper into the fjord, the channel narrowed. We also started to pick up more and more ice flows. We reached the fork between two branches that would give us different views cruising the Tracy Arm Fjord to the Sawyer Glacier. One of the branches had much more ice. The captain chose the other branch for a safer transit. 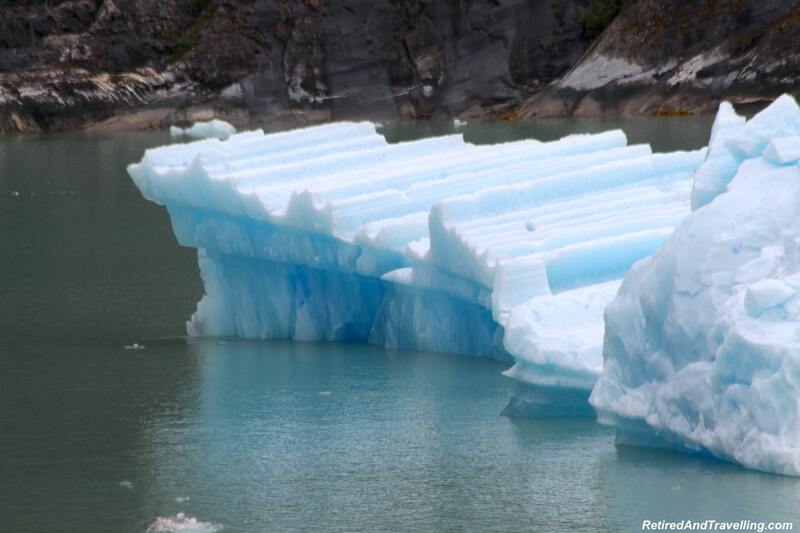 But we did miss the view of the glacier at water level. 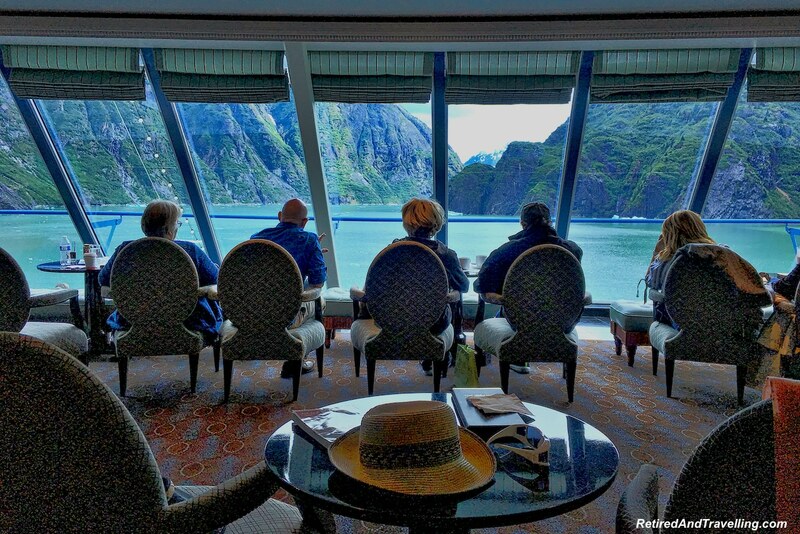 At each turn in the fjord the excitement built. 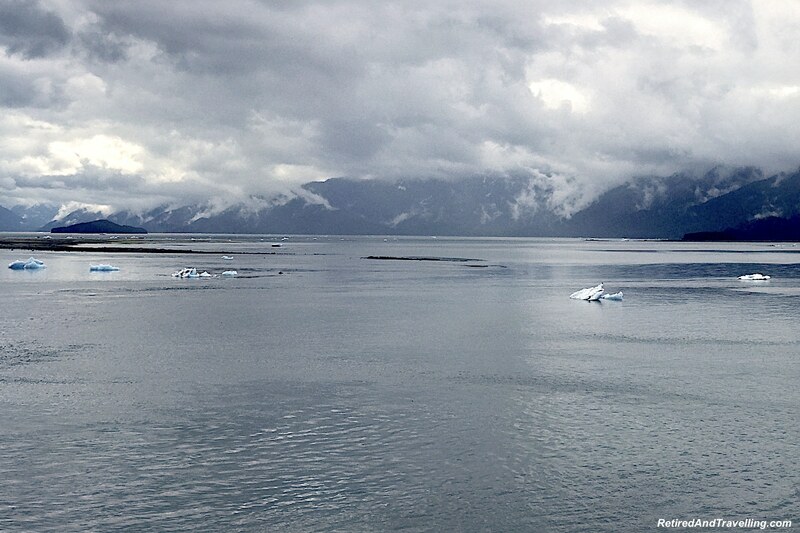 When we hit the final bend, we could see the Sawyer Glacier off in the distance. 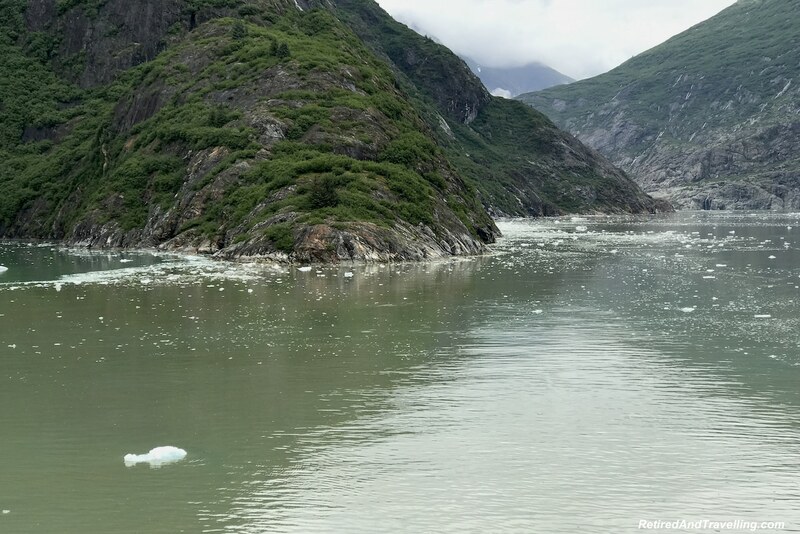 This glacier had retreated back up away from the water. 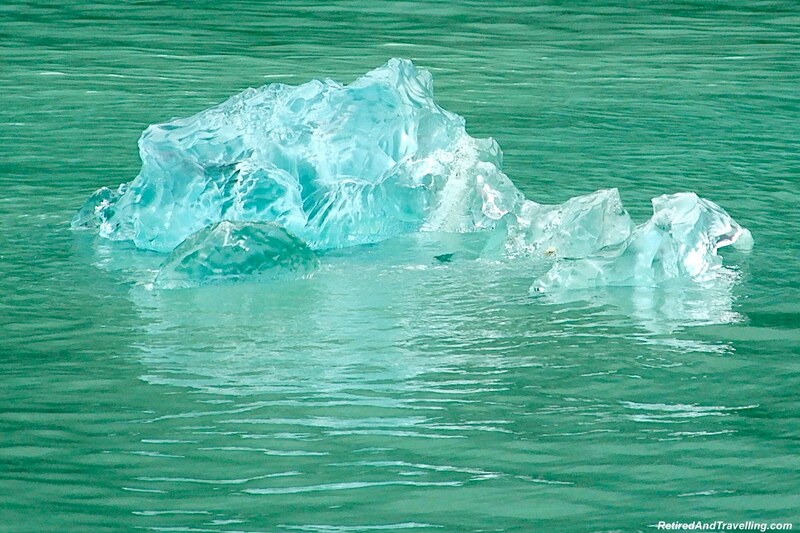 Like the icebergs, the glacier was quite blue in colour. The captain moved the ship at a snail’s pace ever closer. Most of the floating ice we saw was free floating small pieces. He navigated around the bigger pieces. When he finally got in as close as he felt safe, we hovered so everyone could get a view. He then pivoted the ship and we slowly pulled away. 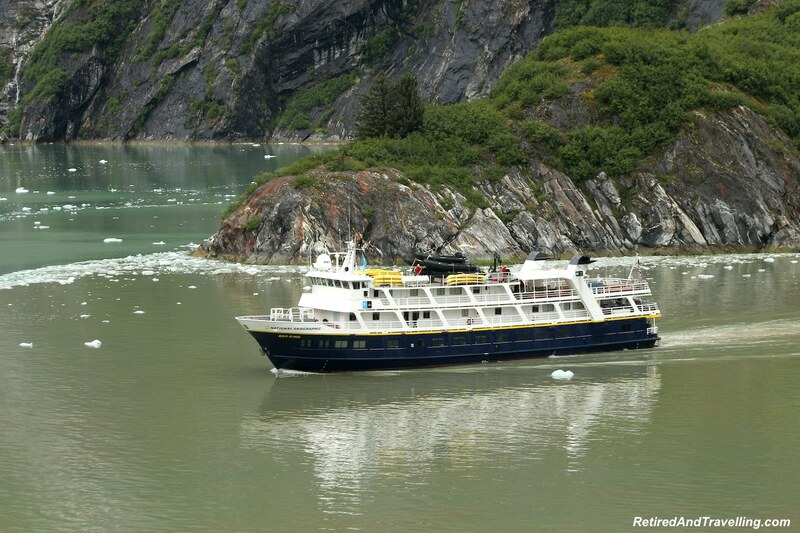 As we started cruising the Tracy Arm Fjord to the Sawyer Glacier, we saw a bigger cruise ship heading out. 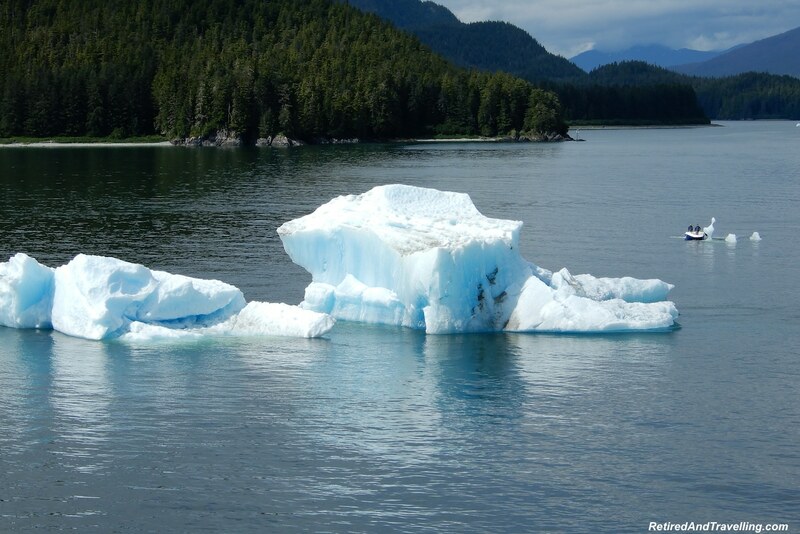 The bigger ship was having challenges with the ice and those passengers would not see the glacier that day. 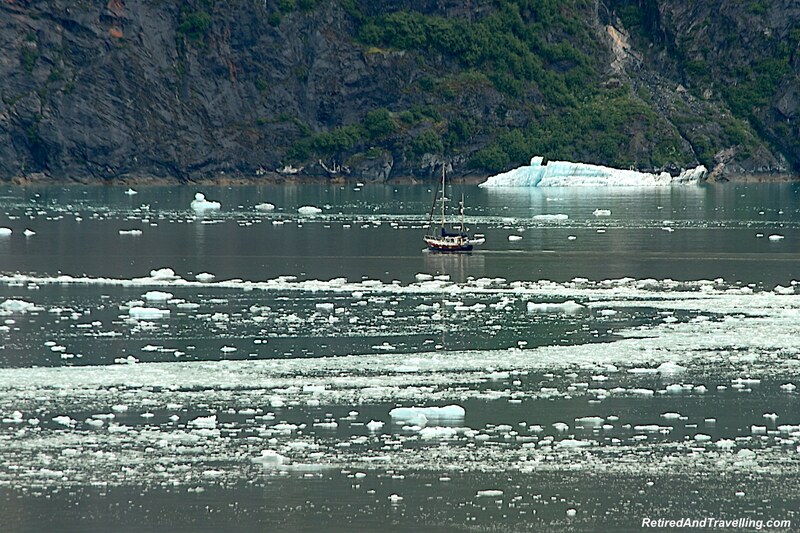 As we went deeper into the fjord, we saw a number of other smaller ships. Most of the boats came from nearby Juneau but we did later see one of these ships when we entered Sitka. 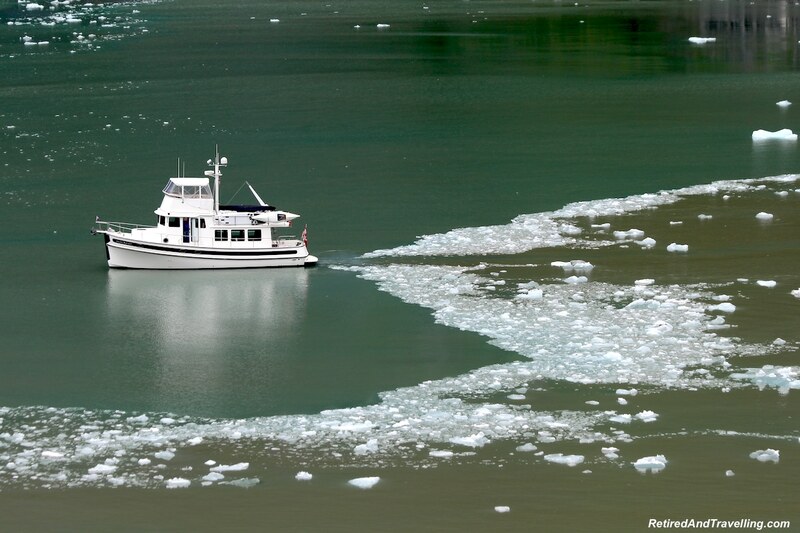 The smaller boats were able to go right up to the Sawyer Glacier for a view that was even closer than we got. 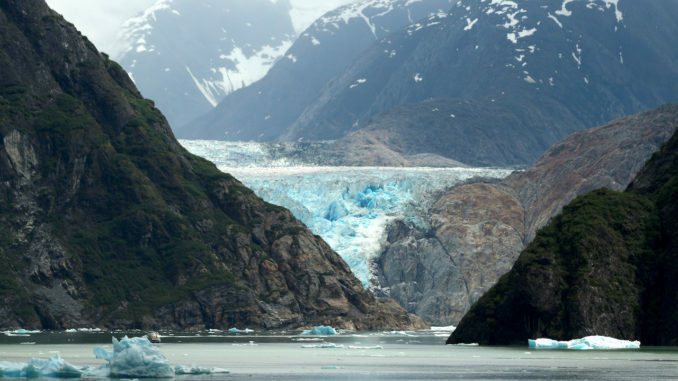 If you visiting in Alaska, try to get a boat ride cruising the Tracy Arm Fjord to the Sawyer Glacier. We even saw the National Geographic Sea Bird ship in the fjord. They had just brought in their inflatable boat. 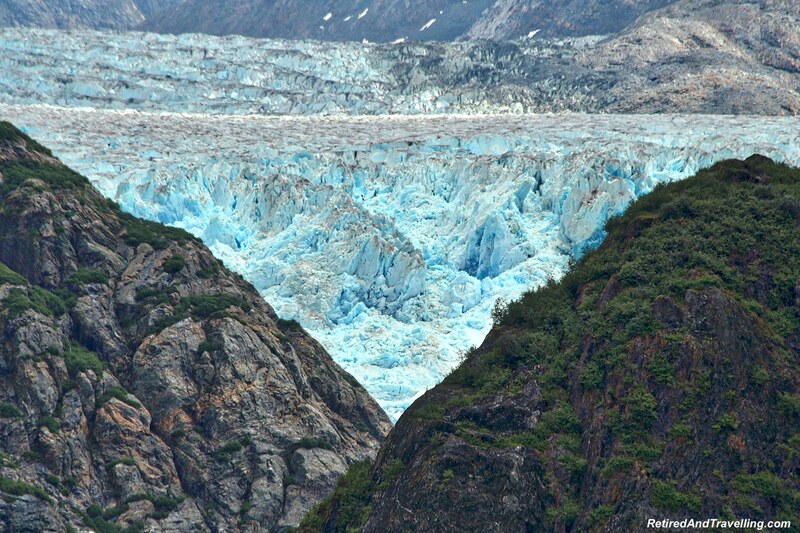 That must have been quite an amazing view to see the ice and glacier right at water level. 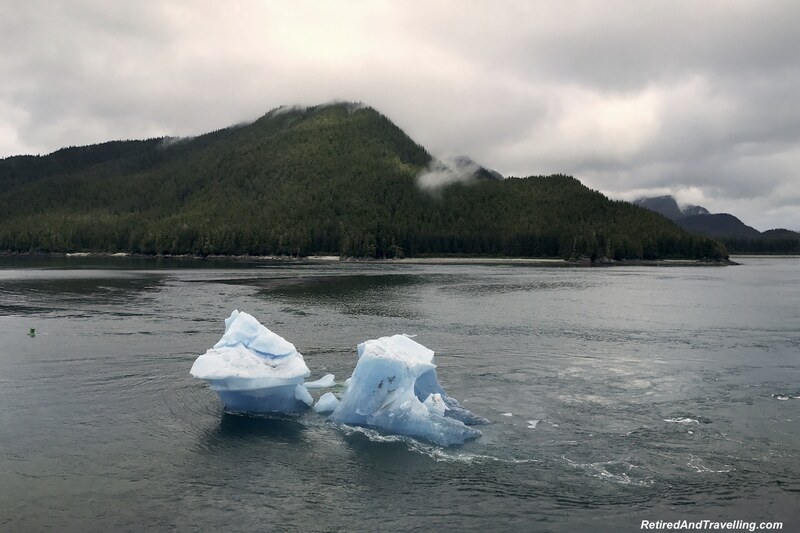 As we navigated around the larger pieces of ice, we saw that there was a very small boat in the water. It really put the size of the icebergs in perspective! 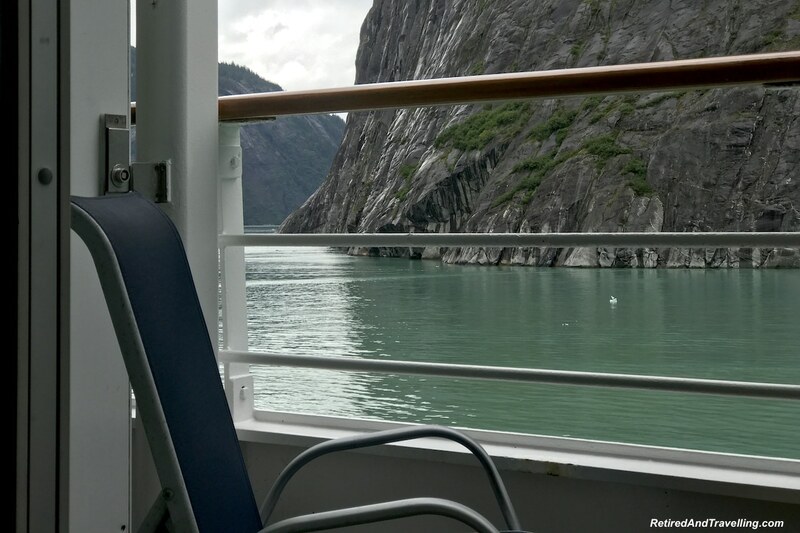 The captain re-traced our path back out of the fjord. We moved from the upper observation deck to the balcony on our cabin. 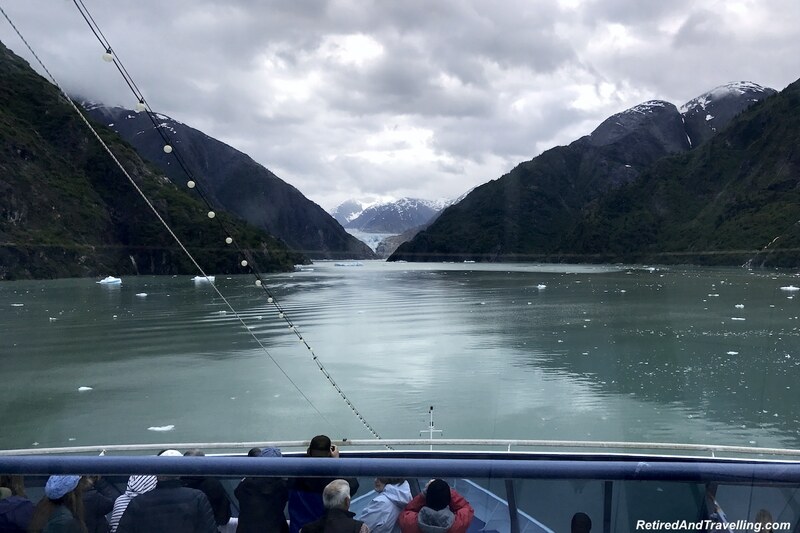 We got a great lower perspective on the sights cruising the Tracy Arm Fjord to the Sawyer Glacier. 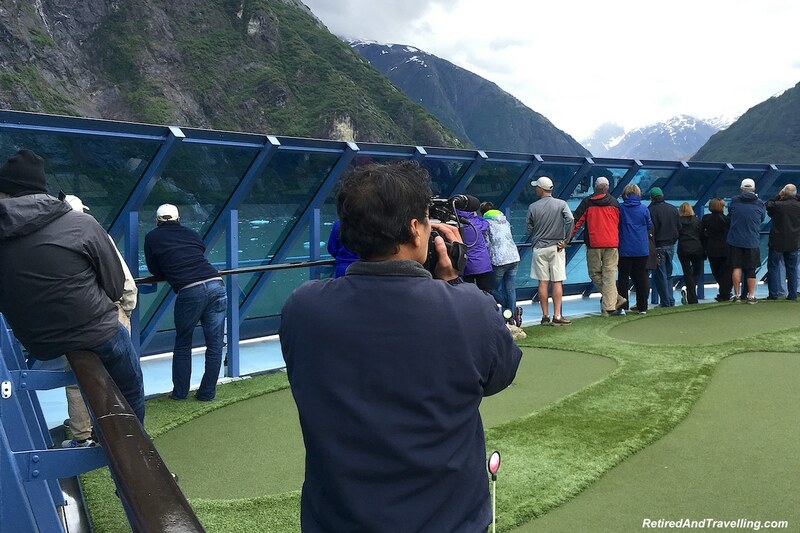 It was an exciting day on our Alaska cruise. 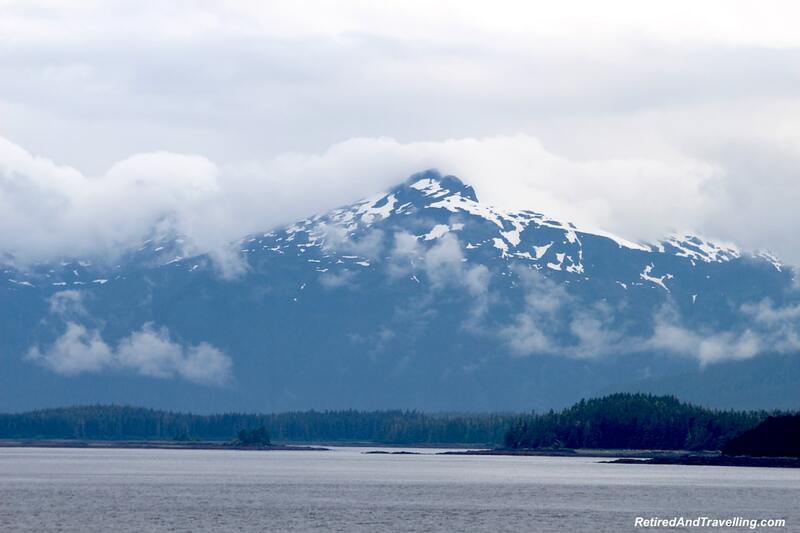 We came to Alaska looking for wildlife. 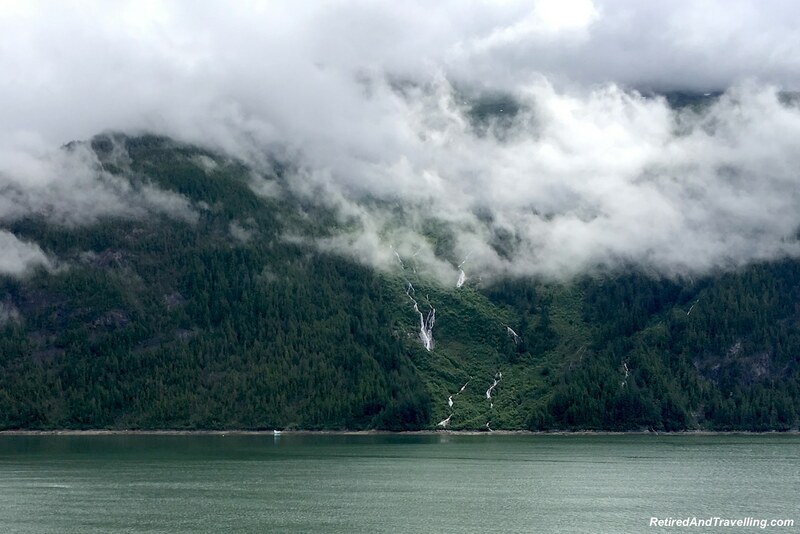 We had a great day in Ketchikan discovering the rainforests of Alaska. 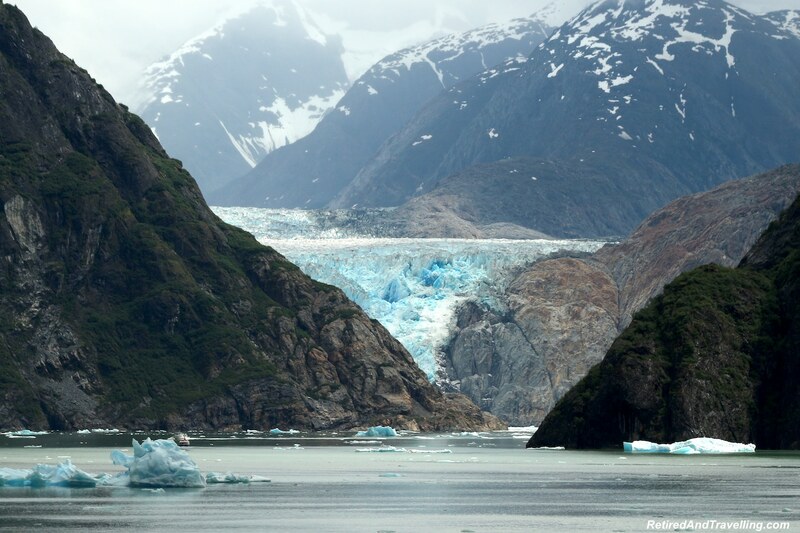 This day we spent being spellbound as we saw the fjords and glaciers of Alaska. 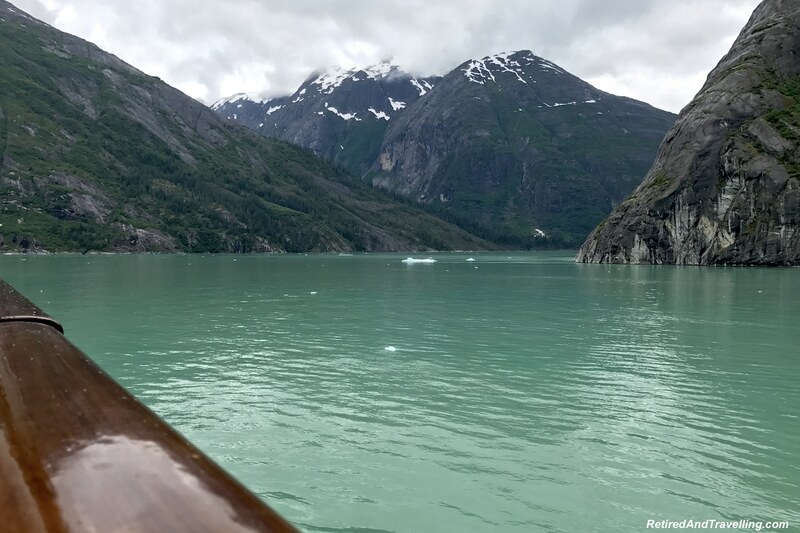 After we left the Tracy Arm Fjord, the captain set sail for our next port in Sitka, Alaska. 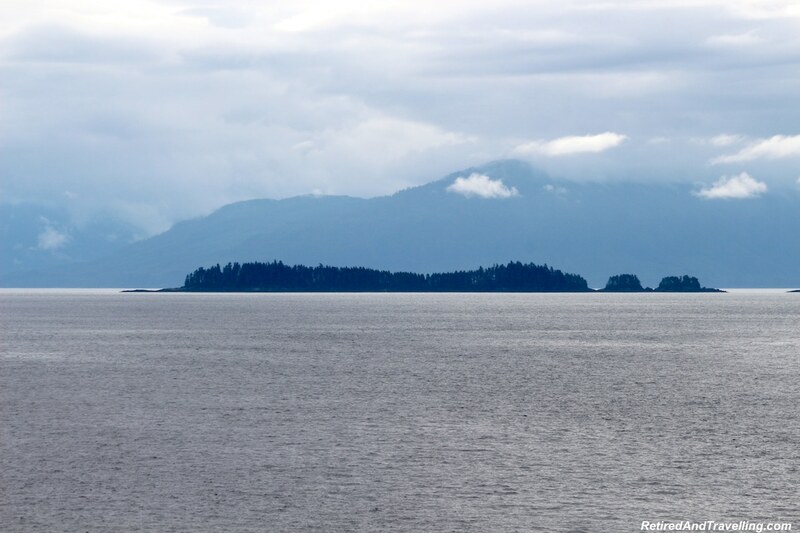 Our excursion in Sitka would give us yet one more boat ride and a promise of wild life sightings! 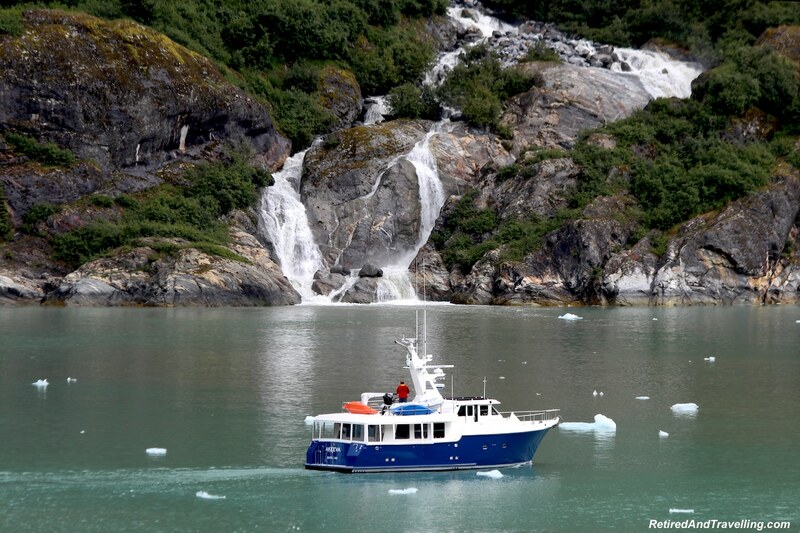 Have you enjoyed cruising the Tracy Arm Fjord to the Sawyer Glacier in Alaska? 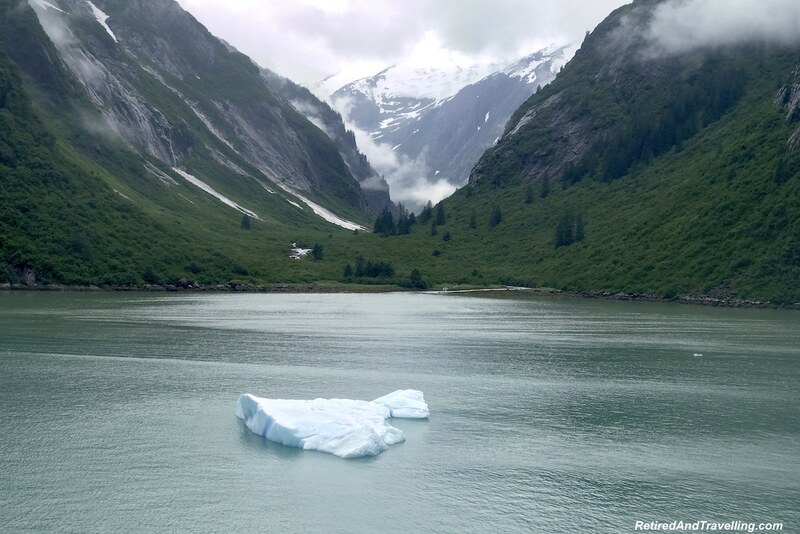 Which part of the glacier did you see?